Pearls By Fleur is a pearl company that sell classic and contemporary pearls at budget-friendly and realistic prices. Their founder, Louise, fell in love with pearls when she visited the pearl farms in China. 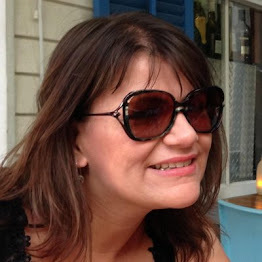 Working in fashion styling she realised that the right jewellery really made the outfit and she then noticed the gap in the market for classic and contemporary pearl jewellery that was affordable, and thus Pearls By Fleur was born. 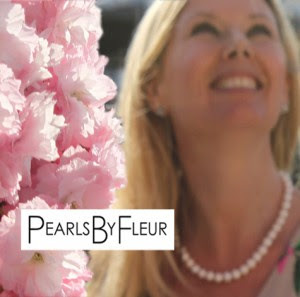 At the heart of Pearls By Fleur is a love of quality jewellery. The company never compromises on their standards and their attention to detail is obvious, in every piece of jewellery, their packaging and their customer service. 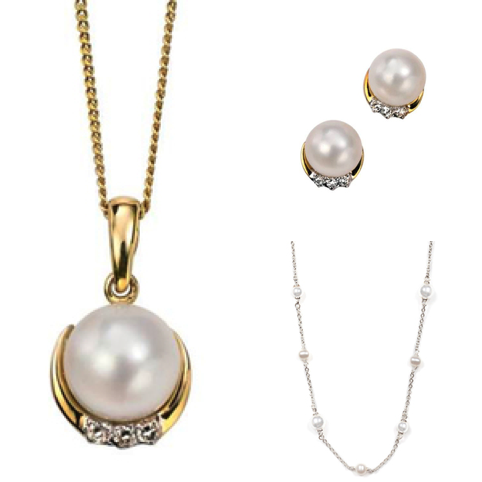 Their range of pearl jewellery is both classic and contemporary. Classic jewellery pieces that every fashion lover has in her jewellery box, such as classic pearl earrings or classic pearl bracelets are featured on their website. Contemporary jewellery pieces are big, bold or have a designer twist. 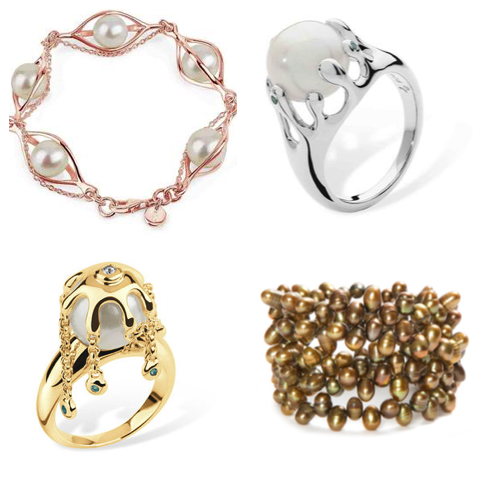 Stand out pieces include the pearl 'Hug' bracelet from Lucy Q in rose gold vermeil. The pearls are caged in a unique design with the rose gold vermeil chain draped through each section (above top left). Another unusual item of contemporary jewellery is the pearl ring with a water droplet effect, set with blue Swarovski crystals, also by Lucy Q (above bottom left). 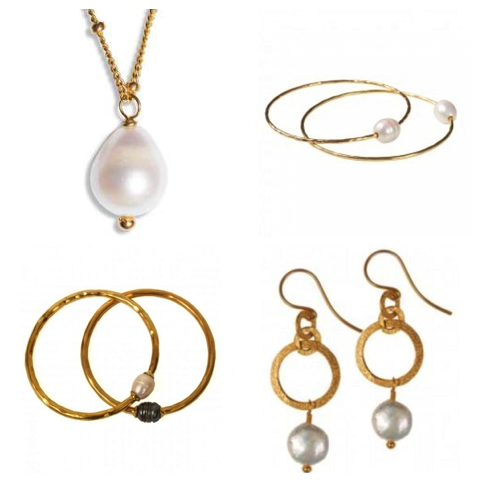 They are also proud to have a selection of jewellery called The Unity Collection, that is produced by fair trade suppliers using freshwater baroque and coin pearls and 22-carat gold plated metals. Fairtrade suppliers are based in developing countries and the ethos is, that they set their own prices and create fair conditions for their workers. Buying an item of fair trade means you are supporting the lives of these suppliers - something important to do, don't you think? 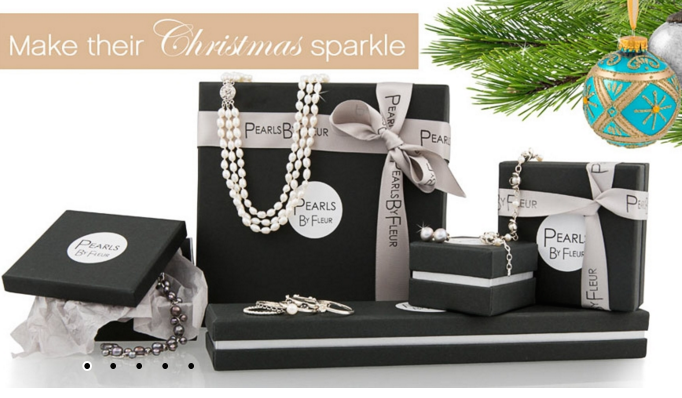 With a range of gifts from £20, a real person at the end of the phone and a secure shopping website, all you classic girls or high fashionistas out there should really check out the Pearls By Fleur website, if you love affordable pearl jewellery. Tell me, do you have any pearl jewellery? What do you think of the Pearls By Fleur jewellery featured above? Pearls have a lovely lustre don't they? They have a wide range and lots of lovely necklaces and earrings for your wedding day. Have a fantastic day Vikki! I love pearls as they can be so elegant and timeless, also helps they are my birth stone. This is a really nice collection and it's good to see some contemporary designs. Yes I agree they are timeless. That is why they are a good choice for brides I think. Really good prices, I agree. 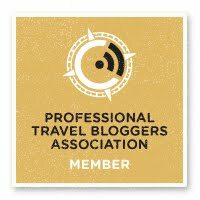 Yes the contemporary styling is great! These look fab! I love to wear pearl earings! I had some but they went walkies. I'd like to get some more though! Lovely comments for my Pearls By Fleur Brand, please have a look at our stunning collections. and yes we try to keep the prices down! That is my favourite too. The rose gold vermeil adds a warmth to the gorgeous pearls. So pretty. I'm not a big fan of jewellery in general because depending on the material my neck goes red but I do like pearl necklace. I have one from my mum that I am planning to wear on my wedding day. Pearls are a beautiful accessory for your wedding day, just so classic and with a gorgeous lustre. I'm a huge fan of pearls, especially a long string, Coco Chanel style. Wow what beautiful items. I've always loved pearls and lusted after a pearl necklace for years.